Threats to manatees and their habitat continue to increase, which is why downlisting is premature at this time, and it is dangerous. Threats to manatees and their habitat continue to increase, which is why downlisting is premature at this time, and it is dangerous. Above, Lily at Blue Spring, is an example of the perils manatees still face. Photo by Cora Berchem, Save the Manatee Club. You’ve probably heard the news: manatees have been downlisted to threatened status under the Endangered Species Act. Unfortunately, this is not the great victory for the species that the U.S. Fish and Wildlife Service (Service) and some news organizations are touting it as. This is not a victory for manatees, or conservation, or science. This is a victory for anti-regulation interests who seek to dismantle endangered species and other environmental protections. It may be helpful to provide a little background: In 2007, the Service conducted a 5-year status review for the manatee, concluding that the species may be sufficiently recovered from the brink of extinction to warrant a reclassification. However, the years that followed saw record deaths from new and increasing threats, including cold stress in 2010-2011, red tide in 2013, and an unexplained mortality event on the Indian River Lagoon in 2013 with a resurgence in 2015. And 2016 saw a record 104 mortalities from watercraft collisions. In 2012, the Pacific Legal Foundation (PLF), a nationwide anti-regulation law firm, filed a legal petition and threatened a lawsuit on behalf of a group of local property owners called Save Crystal River to downlist the manatee. The manatee downlisting fits into PLF’s national campaign to erode our nation’s key environmental laws; the organization recently testified in congressional hearings to advocate for reduced protections under the Endangered Species Act. PLF and the Service claim that protections will remain the same for manatees under a threatened listing. Yet if that were the case, why would PLF and Save Crystal River expend their resources on this downlisting effort? PLF knows full well that the majority of substantive manatee protections, including essential slow speed protection zones, are set at the state level. Removing the endangered listing reduces incentives for conservation and risks giving the erroneous perception that threats to manatees are under control and no further protections are needed. Indeed, much of the media is celebrating downlisting as a success story, already risking to lose public awareness of these potentially harmful changes. The fact is that downlisting manatees at this time is not supported by law or science. In order for manatees to be reclassified, threats to its survival must be controlled or decreasing, and regulations must be in place to protect the species. 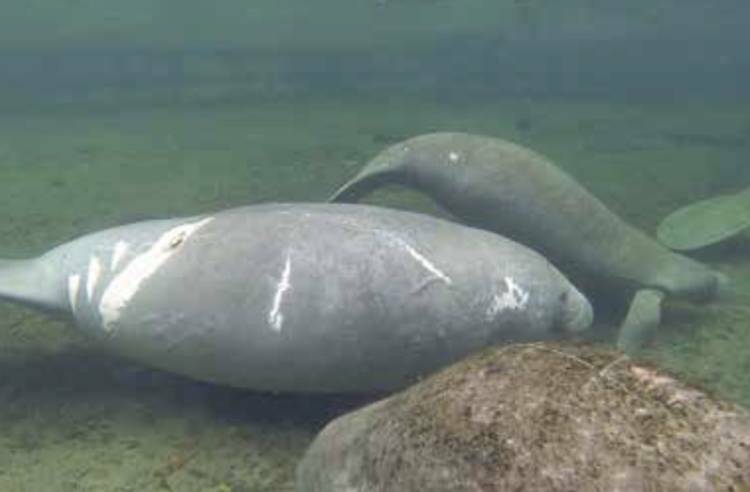 In addition to record watercraft mortality and deaths from harmful algal blooms, manatees face increasing threats from cold stress as artificial warm-water sources are taken offline simultaneously with declines in natural spring flows from development and overpumping of groundwater. The scientists who offered peer review comments on the proposed downlisting rule recommended against downlisting at this time on the basis of these threats.